Rotis can be made with so many variations. Any kind of masala roti makes a meal on its own served with dahi and pickle. Sometimes we have left over sabzis and I love to use them this way. Just knead the dough with it adding any masalas of your preference and coriander leaves or methi leaves for extra flavours. Today I made some with left over cabbage sabzi. Oil or Desi ghee .. 1 tbsp in the dough + for making rotis. 1. Knead the dough for rotis using the left over sabzi, coriander leaves, green chillies, ajwain, salt and a spoon of oil or ghee. 2. You can use a little water or curd also if needed. 3. Roll out the rotis slightly thicker than the usual ones. 4. Roast them on a griddle spooning a little oil or ghee. 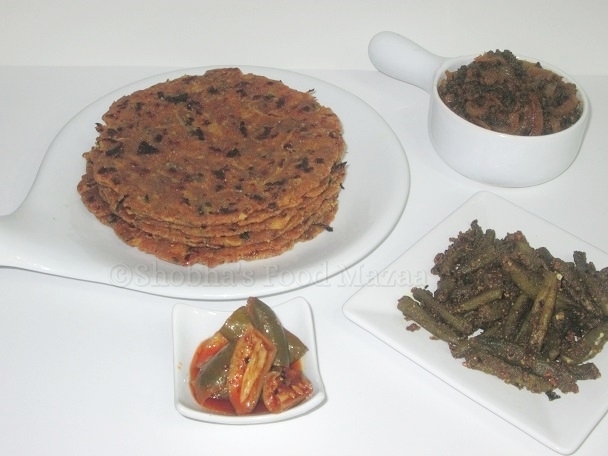 i also add up leftovers in flour and make parathas, love the jalapenos pickle. Best our of leftovers. Brilliant way to get kids to eat too rite? 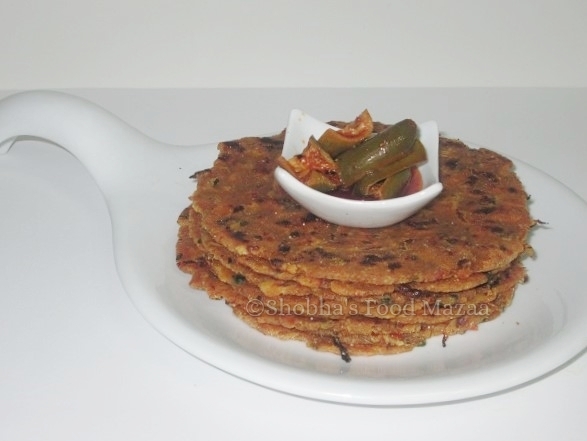 Hi Shobha, This is a good idea of cabbage parathas.